Escape to Orient NY for a Peaceful Getaway on Long Island! Located on the easternmost tip of Long Island's North Fork, Orient NY is peaceful village overlooking the Long Island Sound. For years, honeymooners have chosen Orient as the perfect hideaway for their romantic rendezvous. Beautiful beaches line the Orient Harbor on the north, south and eastern shores. These shores offer spectacular views of the harbor as well as beautiful wildlife and passing sailboats. 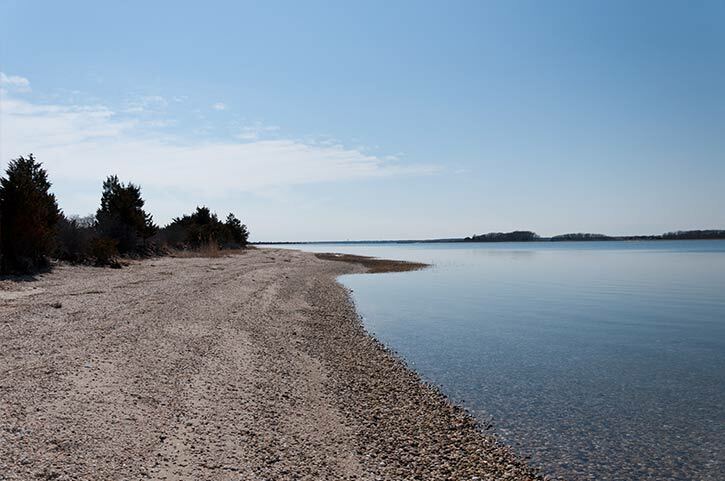 The southern Orient Harbor shoreline is home to the scenic Orient Beach State Park, a 350-acre peninsula featuring ten miles of beachfront. The park features an array of wildlife and plant life, including a rare maritime forest with red cedar trees, blackjack oaks and prickly-pear cacti. The Long Beach Sanctuary also lies on the southern shores of the Orient Harbor, and it borders the beautiful Gardiners Bay. This wildlife preserve features an array of flora and fauna native to the Long Island region, including magnificent osprey. The North Fork is also popular for its exquisite wine culture. Wineries scattered throughout the region are open year round for tours and tastings. In addition to these spectacular wineries, this region's farms, grape vineyards and nurseries are vital to its agricultural lifestyle. Visitors love to explore Orient's various farm stands or try the village's fine restaurants, serving up delicious seafood and local cuisine. Breathtaking views, intimate beaches and scenic attractions set Orient NY apart from crowded Long Island destinations. Come to this picturesque region and stay in a charming bed and breakfast or cozy inn. Orient NY has so much to offer!